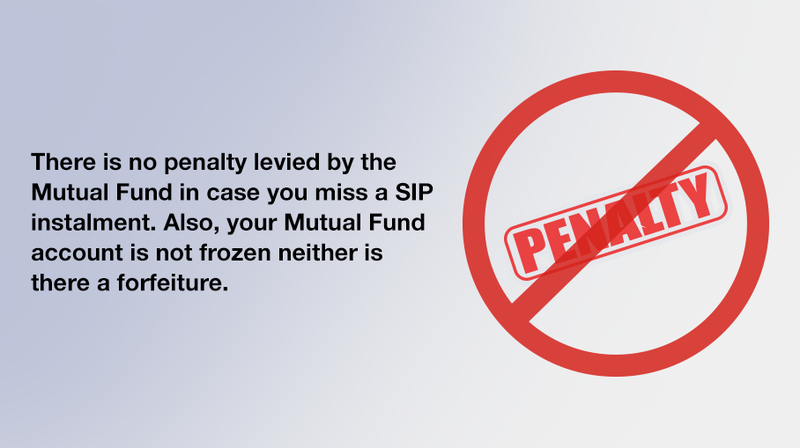 What will the Mutual Funds do, if two or more installments are missed? You can invest in Mutual Funds through regular periodic investments and/or lump sum investments. In the 1st case, you can choose the frequency at which you want to invest. For daily/weekly/monthly frequency, you can automate your investments through SIP. This automation can be through post-dated cheques, or electronic debit from bank accounts. Electronic debits can be set up through “direct debit” facility or through NACH (National Automated Clearing House). Application forms are available at respective Mutual Funds, for the process. This reduces your efforts as you do not have to fill up a fresh form every month or think about which scheme to invest in. Just select the scheme, amount and date and your transactions will happen automatically, for the period you choose. You can set up an SIP for six months or more. Just ensure there is sufficient balance in your bank account. Your question becomes relevant here. If you miss two or three consecutive instalments, the fund house may stop depositing the post-dated cheques and return all the unused cheques, or stop debiting your account. No penalty is levied and neither is there a forfeiture. You can restart your SIP, in the same account, at any point of time.